One of the longer XC trails in the Interior. Built by the Soda Creek First Nation’s trail crew with “First Journey Trails” (Trail Crew Foreman: Mitch Forbes, Chris Purdy, Jeremy Stowards) in 2017. 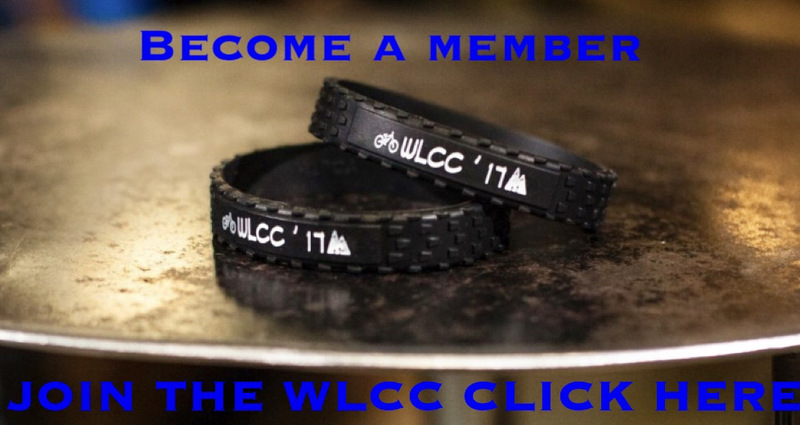 This bi-directional trail has long climbs and long descents showcasing unique terrain features. 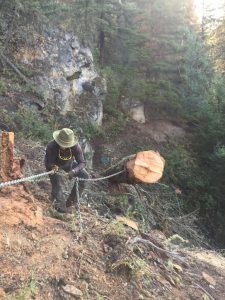 Construction of a climbing line from the heritage village to the Soda Creek trailhead at Highway 97, has begun in 2017. 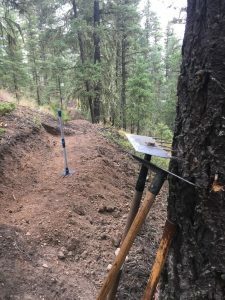 After a five-week shut down during prime trail building season, the crew working on the ‘Deep Blue Soda’ trail weren’t sure they would see it finished this year. 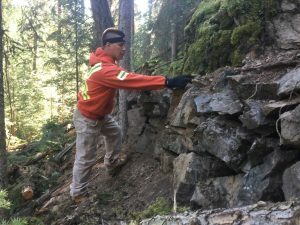 “We knew it would be tough to complete 20+ kilometers of new single-track trail in one building season, but when the wildfires hit our community, we thought that’s it, we won’t complete construction in 2017,” said Miriam Schilling, community economic development coordinator for the Soda Creek Indian Band. But complete it they did. 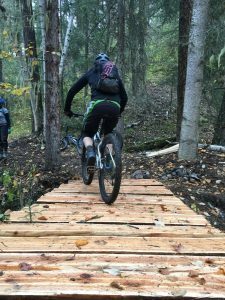 The trail, which celebrated its grand opening on Nov. 2, connects the Whispering Willows campsite in Deep Creek to the Xatśūll Heritage village, a neat 20 kilometers to the north along the banks of the Fraser River. 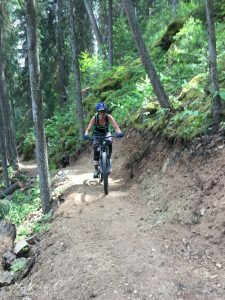 ‘Deep Blue Soda’ ties into the existing mountain bike trail system in the Soda Creek area and is rideable in both directions. With the completion of ‘Deep Blue Soda’, the Xatśūll trail network now offers over 30 kilometres of trails and is fast becoming a popular biking destination for both tourists and locals. 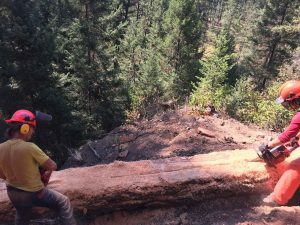 Despite the forced trail closures due to the summer’s wildfires, trail counters registered record numbers on mountain bike trails near Blue Lake and Soda Creek in 2017. First Journey Trails is a trail consulting business that helped with the planning and management of this new trail construction, including the training and supervision of two crews of up to twelve builders. 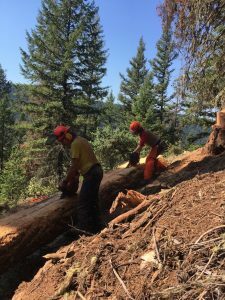 The funds for this project were received from the Rural Dividend Program run by the Province of British Columbia as well as by the Northern Development Initiative Trust and the Cariboo Chilcotin Beetle Action Coalition.